The above interview by Roger shows why he needs to be sent to Tallahassee to fight for fiscal responsibility, tax reductions, spending reductions, property rights, and liberty. Please share this with your friends with a short note asking for their support. The primary day on August 24th. To make an online contribution, visit J. Roger Shealy 2010. If you'd like to help Roger knock on the doors of voters, contact him at his website. J. Roger Shealy was endorsed by America's Best Choice. Tags: Florida, House, District 29, J. Roger Shealy, Republican, 2010 election, candidate, August 2010 To share or post to your site, click on "Post Link". Please mention / link to America's Best Choice. Thanks! Posted by Bill Smith : Post Link --> 9:05 AM 0 Comments - Share Yours! by George Bennett, Post On Politics: U.S. Rep. Ron Klein, D-Boca Raton, reported late Monday that he raked in $511,150 in contributions between April 1 and June 30 — an impressive figure, but only about one-third of Republican challenger Allen West’s $1.4 million haul over the same period. It was the third straight quarter in which West out-raised Klein, a two-term incumbent who’s one of the top Democratic moneymen. Klein still holds an advantage in overall cash on hand, with $2.9 million to West’s $2.2 million. But his lead has shrunk from $1.6 million three months ago to $722,719 now. Klein defeated West in 2008. For their 2010 rematch, West has capitalized on YouTube popularity and frequent cable TV appearances to raise nearly $3.5 million while Klein has raised about $2.4 million. West’s campaign announced his second-quarter fund-raising total last week. Klein released his figure shortly before the midnight Federal Election Commission deadline. Tags: Ron Klein, Boca Raton, Allen West, Election 2010, Florida, FL-22, Florida Congressional District 22, To share or post to your site, click on "Post Link". Please mention / link to America's Best Choice. Thanks! Tags: Nancy Pelosi, Pillars of Socialism, Health care bill, Energy bill, cap-and-trade, Education bill To share or post to your site, click on "Post Link". Please mention / link to America's Best Choice. Thanks! 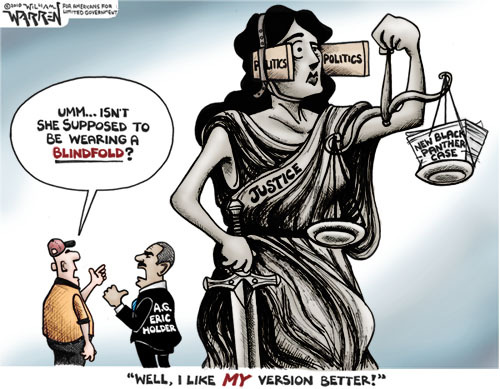 Tags: William Warren, political cartoon, Eric Holder justice, New Black Panther case, Black Panthers To share or post to your site, click on "Post Link". Please mention / link to America's Best Choice. Thanks! Posted by Bill Smith : Post Link --> 10:24 AM 0 Comments - Share Yours! Tags: Sarah Palin, Women, Republicans, Grizzly, eGopNews, ARRA News Service To share or post to your site, click on "Post Link". Please mention / link to America's Best Choice. Thanks! The biggest news in sports Thursday night was that basketball star LeBron James chose to come play in Florida for the Miami Heat rather than stay with the Cleveland Cavaliers. He may have had many reasons - sunny weather, the nightlife of South Beach, etc. - to come to Miami, but there is another reason that makes moving to Florida a rational decision not just for a basketball superstar, but for anyone who works hard and wants to keep the fruits of his labors. Florida has no state or local income tax. Ohio, on the other hand has both state and local taxes on income. Other celebrities like Tiger Woods and Rush Limbaugh have chosen to move to Florida. Limbaugh, a Florida resident since the late 1990s, makes no secret of the fact that New York's excessive tax burden was an important factor for his move. For decades, many Ohioans have moved to Florida. Even in recent years, when Florida was disproportionally affected by the subprime mortgage crisis, Florida remained the top destination of emigrants from Ohio. States with high tax burdens like New York, New Jersey and California are facing fiscal crisis because of their disproportional dependence on high income earners for tax revenue and the ability of their wealthiest residents to flee from these states to low-tax states like Florida and Texas. Cleveland should not put its hopes for an economic revival on the presence of a basketball star. It would be better off focusing on slashing its excessive government burden and creating a more welcoming economic climate for attracting capital and getting wealthy individuals to stay. We welcome LeBron James to Florida and hope that the people of Ohio will learn from their loss and work to change their state and local governments and their excessive appetite for taxing the creators of wealth. Tags: LeBron James, Florida, Ohio, Taxes To share or post to your site, click on "Post Link". Please mention / link to America's Best Choice. Thanks! 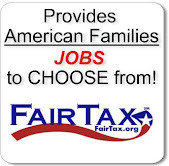 Posted by Florida Pundit : Post Link --> 8:19 PM 0 Comments - Share Yours! Happy 4th of July! - Independence Day! 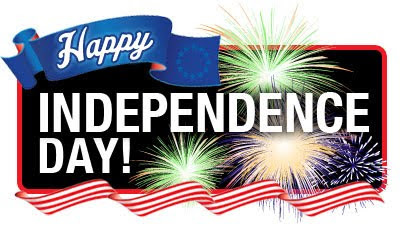 The ARRA News Service and America's Best Choice join you in celebrating our nation's 234rd Birthday - Independence Day. God Bless America and our armed service men and women. Tags: 2010, 4th of July, ARRA News Service, America's Best Choice, Independence Day, July 4th, William Warren To share or post to your site, click on "Post Link". Please mention / link to America's Best Choice. Thanks!